Below you will find our cotton braid cord products. They are made from 100% natural cotton yarn and provide a better fibre than thermoplastic synthetics. Ideal for applications such as window sash cord, awning cord, tent line, and clothes line, you will be more than happy with their durability and strength. 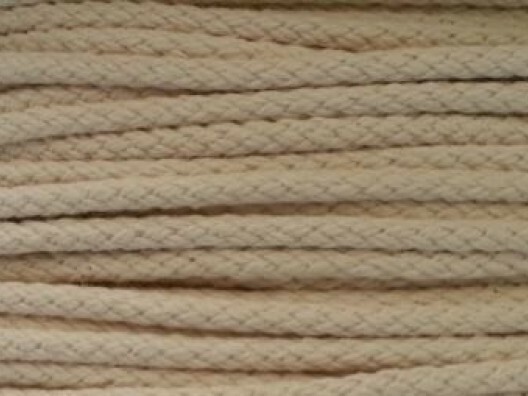 In fact, with any application involving higher temperatures, these cotton braided cords should be your first choice. We offer a variety of lengths supplied on either 200m reels or 150m reels. At Winchester, we provide quality products at some of the most competitive prices on the market. With over 20 years’ experience working in the textile industry, we understand customer’s needs. That is how we have become the one-stop shop for customers up and down the country looking for a wide range of textile products.